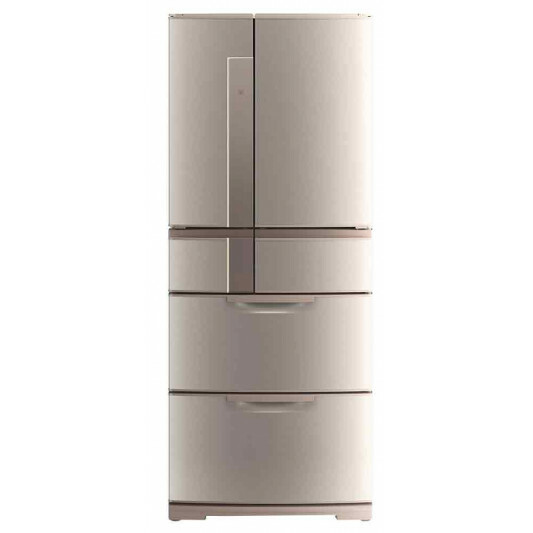 MREX574XNA Mitsubishi 574 Litre Platinum Finish Multi Drawer French Door Refrigerator Features Extremely Efficient Inverter Technology, LED Touch Panel, Worlds First Supercool Freezing, Soft Freeze, Hot Freeze. Versa drawer . Automatic ice maker. External temperature control system. Two Way Flexi Shelf . Surround multi airflow system. Supercool freezing. The Mitsubishi MREX574XNA Refrigerator was added to the Refrigerators category in October 2017. The lowest price GetPrice has found for the Mitsubishi MREX574XNA Refrigerator in Australia is $2,916.00 from Billy Guyatts.